Snappy PDF is a very nifty application for Autodesk® Inventor® users who are spending quite some time renaming drawing sheets and creating single PDF files of drawing sheets. Snappy PDF can cut the time spent of renaming drawings sheets and creating PDF files by at least 90%. If you are renaming and printing PDF files sheet by sheet, you should REALLY be considering trying Snappy PDF today; it is seriously a huge time saver. 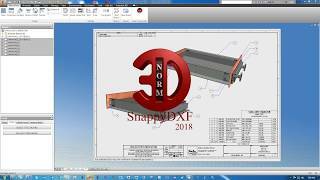 Snappy PDF works with all Autodesk Inventor versions from 2013 and above and can print single PDF files of all selected sheets or print a single PDF file of all selected drawings sheets.